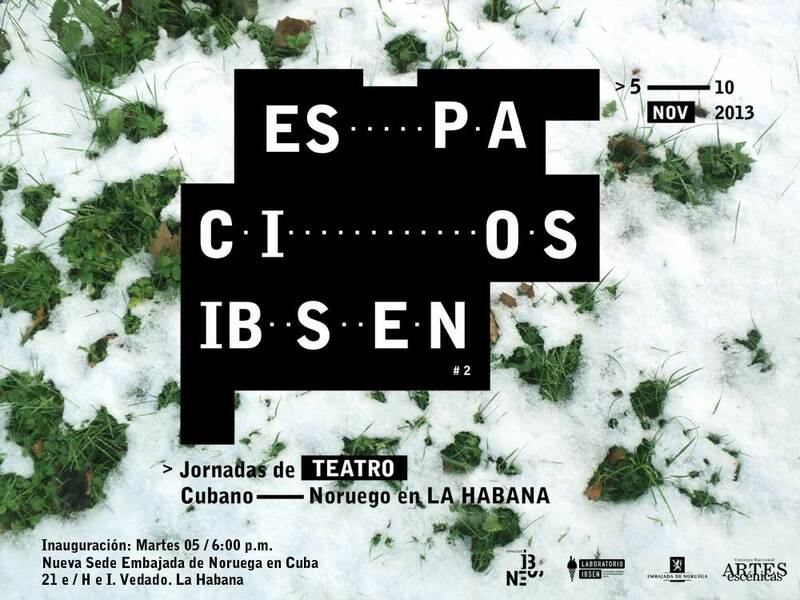 Laboratorio IBSEN (The tools of society) works as an interactive and experimental platform that invites creators of different artistic disciplines to a systematic discussion and exploration of the relations between theater and politics, theater and theater history and society in contemporary Cuba. From multiple representational and relational possibilities, the Laboratorio IBSEN has as an interest to approach the scenic creation as a tool of observation and social experimentation, that questions the hegemonic cultural identities and imaginaries in the current Cuban society. This space has among its lines of work the promotion and development of an experimental zone of emerging art in Cuba. It takes as a center the scenic creation, thought and practiced from transdisciplinary arts that implies visual arts, music and performance and theatre practices of the real thing. As an experimental research platform, it works in three different directions at the same time: a research area, theoretical production and pedagogical actions; another area of ​​creation and a third area focused on social intervention, the relationship with new audiences, the redesign of community from artistic devices. This platform aims to explore a more organic relationship between research, creative searches and management strategies. Laboratorio IBSEN is the continuation and revision of a trajectory initiated from the Test Tube project, which since 2006 functioned as a promotion and development network for an area of ​​young writing, direction and stage creation in Cuba.